Tourism Australia’s global ambassador Chris Hemsworth is among key Australian Hollywood talent inviting Americans Down Under, in a Crocodile Dundee inspired tourism campaign launched during last night’s Big Game (eds. Sunday Feb 4). The campaign kicked off a new marketing push by Tourism Australia, and coincides with great deals to Australia for under US$1,000, and tailored holiday offers covering a range of experiences, destinations and price points. The star-studded Dundee campaign, ‘The Son of a Legend Returns Home’ was one of the most talked about and favorite ads this year. The major US marketing campaign is not a new Crocodile Dundee movie, but was revealed to be a Tourism Australia ad aimed at supercharging interest, bookings and spending by American travelers, with the goal of making Australia the most desired destination to visit among US travelers by 2020. Crocodile Dundee put Australia on the map for Americans in the 80s and helped show off Australia’s natural beauty and the locals’ friendly and welcoming nature. Tourism Australia Chief Marketing Officer Lisa Ronson said the Big Game provided the perfect platform to grab attention in the US before rolling out the new campaign’s commercial elements in order to convert interest into bookings. The 60-second commercial that aired during the second quarter of the Big Game highlights Australia’s stunning locations, food and coastal offerings. Tourism Australia has published tailored travel itineraries and inspiring destination information on Australia.com supported with a dedicated campaign ‘marketplace’ which includes airfare and tailored holiday offers from more than 20 campaign partners, including Qantas, American Airlines and Wine Australia. The offers coincide with increased airlift to Australia, a favorable exchange rate and summer Down Under. Qantas has Australia on sale from $949 on its A380, B787 Dreamliner or B747 flights from the US to Australia. The offer went live (on Sunday Feb 4 at 9pmET) and the sale ends February 15. Cities on sale including San Francisco, Los Angeles, Dallas/Fort Worth and New York to Sydney, Melbourne or Brisbane. Outbound travel periods: 1-30 Mar 2018, 14 Apr – 24 Jun 2018, 24 Jul – 17 Sep 2018 or 1 Nov – 10 Dec 2018.
our Australian vacation begins the moment you step onboard your Qantas flight. Qantas – the exclusive airline partner. 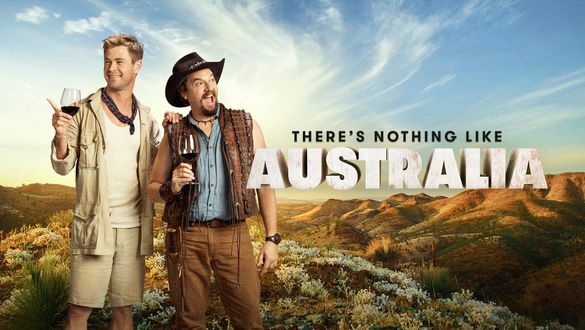 To convert interest into bookings, the campaign also includes a series of light-hearted online videos called Why Australia where Danny McBride chats ‘US talk show’ style with Chris Hemsworth, Curtis Stone, Matt Wright and Jessica Mauboy. Filmed on set, the four well-known Australians provide personal perspectives and unique insights on Australia’s food and wine, nature and wildlife, aquatic and coastal experiences, culture and heritage and sport and events. All of Australia’s states and territories are featured in the campaign with locations, products and experiences carefully chosen to resonate most strongly with high value American travelers looking to experience Australia.